We hear so much about this thing called mom guilt in the world of maternity leave and working parents. But what exactly IS this mom guilt anyway? Today I’m delighted to be joined by Nicole Grocki, a clinical psychotherapist (and mom herself) who specializes in perinatal health, to dig into this concept a bit and give us some tools for overcoming it. Here’s the story of a mom I recently worked with (names changed): Little Maddie was only 6 weeks old. Before she arrived, Tracey, her mother, resolved she would return to her career. It was a demanding and fulfilling position she had worked so hard to achieve all her adult life. But as her return date approached, she was more tired than ever, and she felt scattered, messy, and out of control. She was unable to make simple decisions. How would she ever function at work, continue breastfeeding, and juggle career and baby? Tracey began to feel such intense guilt that she began considering bagging her job. But how could she? What about the finances, the mental stimulation she craved, and work’s being part of her identity? Her anxiety soared. Sound familiar? If so, know you are not alone. What drives the so-called mom guilt? So-called “mom-guilt” is pervasive among mothers. It can strike at any time and can show itself in any number of “mom” situations. 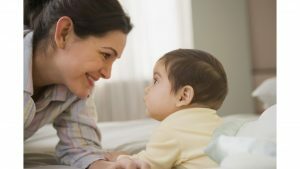 There are enormous expectations from society, media, family and friends about what mothers “should be like” and what we “should do.” Should a mom return to work or not? Breastfeed or not? Be happy she is a mom? Like Tracey, moms may feel like they are abandoning their babies or missing things that happen during the day. We have all had “breast is best” hammered into us, and moms can feel guilty if they decide to not breastfeed or to stop. But breastfeeding puts additional pressure on mom, and sleepless nights, as she is the only one who can feed the baby. And if a mom goes back to work, continually pumping during work days may become impossibly difficult. No matter what, mothers can be judged about their decisions. How does guilt show up? Researcher and therapist Brené Brown writes that the “feeling of guilt” is a focus on behavior, where shame becomes about feelings of the self. So, “I didn’t breastfeed long enough,” is feeling guilty about a behavior. And the resulting “I am a bad mom,” becomes the feeling of shame about oneself. The guilt and shame pushes a mom into deep judgement of the self, a constant comparing to others (where the mom believes she consistently falls short), and persistent negative thoughts about the self. Moms hide these thoughts but often begin to believe they are true. Mothers then become their own worst critics. Depression and anxiety: Moms start to feel down most of the time, have fatigue, anger, or intense, obtrusive worry, or low self-worth, among other symptoms. Negative Thoughts. “I should not go back to work, because I am abandoning my baby.” I “am a bad mother.” The thoughts become beliefs, and self-worth decreases. Massive amounts of time and/energy focused on social media. A mom may feel guilty about the time not spent with her baby and may post – only the best moments – constantly on social media, to prove to the world that she is in fact a “good mom”. Overdoing, overworking and overscheduling. Here we’re grappling with the mom’s belief that if a mom does more, and ignores the guilt, the better she will feel. But this behavior can lead to burnout and becoming physically unwell. Addictive behaviors. A mom may begin drinking, using drugs, overspending, or find other ways to find a quick fix to feel better. Perfectionism. A mom may hope to avoid her feelings by trying to come across as though she has it all “together.” She may want to appear perfect, even though she fears judgement, failure, and is in pain. What are some effective antidotes to mommy guilt? Brené Brown writes about empathy being an antidote to feelings of guilt and shame. When you are feeling “off” and stress mounts, take a few moments to stop and breathe. Be curious with yourself about how you are feeling. Notice where your body feels tense and try to soften that area. Allow your vulnerable feelings of guilt, shame, and sadness to rise to the surface. Respond to yourself with loving kindness and acceptance. You may notice the tears begin to well up- let them come. Remind yourself that your feelings are normal, given the stress of becoming a mother! Instead of focusing in on the thoughts associated with guilty feelings like “I should stop working,” replace the negative thoughts with something like “I am a better mom because I work.” Consider what you are contributing to your family rather than what you may be missing. Brené Brown suggests that beyond embracing vulnerable feelings, building resilience in the face of guilt, shame and other difficult feelings is crucial. She urges us to have the courage to be real – not hide. Let go of perfectionism. Take the time to take care of yourself. Eat healthily. Make sleep a priority. Exercise. Meditate. And spend time with supportive friends and family. Becoming a mother is one of the most profound transitions in life. It takes time to adjust! And it IS possible to decrease those feelings of mom guilt. If you need support navigating through this time please consider reaching out to a mental health professional. Nicole Grocki, MS, LMFT, LCMFT, is a clinical psychotherapist specializing in perinatal mental health. 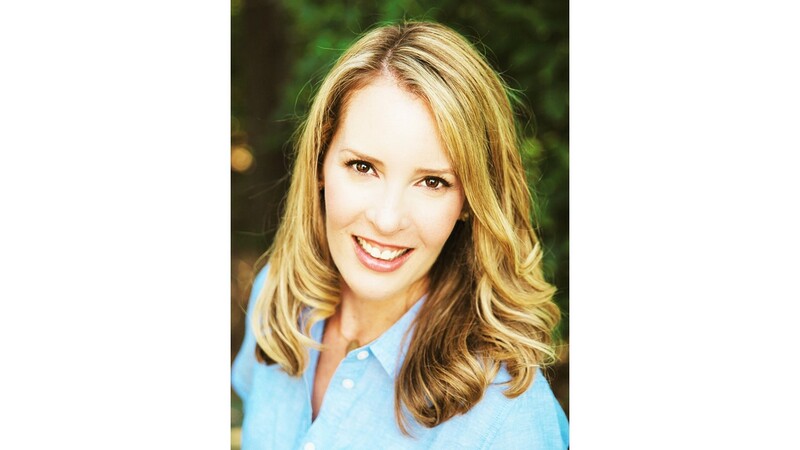 She offers in-home counseling to new and expectant mothers in MD, DC and VA. Nicole is a Certified Bringing Baby Home Educator, has training in Perinatal Mood Disorders and has a Maternal Mental Health Certificate from Postpartum Support International. 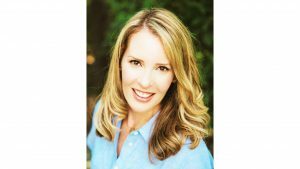 She is the owner of the private practice, Maternal Wellness Services. Heading back to work after maternity leave soon? Join the next session of Mindful Return and get the support of fellow mamas who are all returning when you are. This was such a useful post to read. Having just come back from sometime away from my baby I realised I had spent a lot of the time away feeling guilty for not being there, and then when I was back felt guilty I had even been away. I also had anxiety over our bond being ruined and that she had been doing so much better without me. Having the courage to talk to people about how I felt, helped me to come to grips with these feelings and try to change them and in some way accept them for what they are- unhelpful! Love the blod- always so useful! Thanks. Wow! This information provides important insights into internal struggles for new and expectant moms…information that new and expectant dads would be well advised to understand and be aware of symptoms that can be supported! Thank you Nicole! Agree that this is an important topic for both moms and dads. Thanks for weighing in here. Such a great point Dan! This article highlights many important issues that women experience as they transition to motherhood. As a psychotherapist myself, specializing in postpartum mental health, I see women all the time that experience “mom guilt” and the shame that goes with it. I really appreciate Nicole’s perspective on changing thoughts around being perfect or what a woman thinks she “should” do to reframing those thoughts to what feels good for you and your family. Also, as Nicole indicated, creating an environment that includes self care is critical to new moms. Thank you for providing this important information so that any new mom that may be experiencing these feelings does not feel alone. 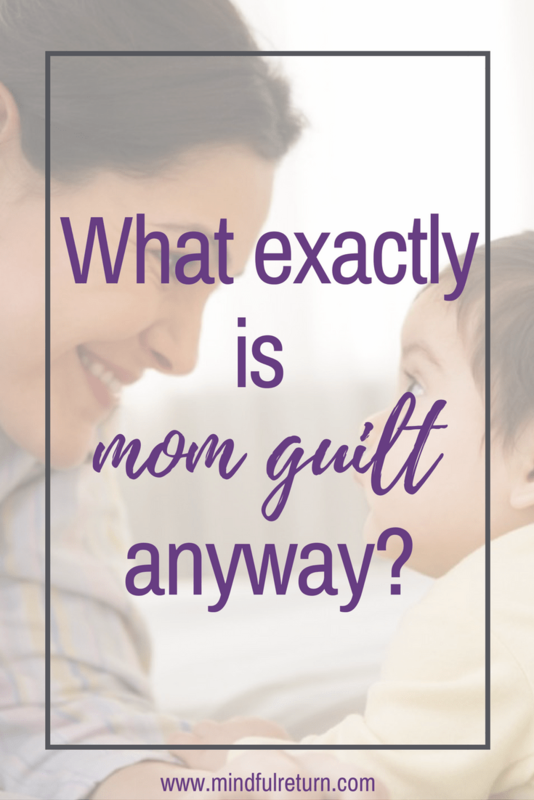 As a working mom (and traveling working Mom on top of all of it) to 2 School age children, I still struggle with Mommy Guilt, almost on a daily basis. Thank you for these tips. It is so good to know I am not alone. The reminder to build resilience rings especially true. I have found that if I don’t calendar my self-care, I won’t do it. And after reading this article, I just reserved some precious care immediately after my upcoming trip. I love the positive approaches laid out in this article…especially about embracing not being perfect. It is so difficult to let yourselve love your imperfect self. But the truth is our kids love us for who we are, given all our perceived “faults.” That love should be our biggest focus! No one teaches moms to love themselves better than Nicole Grocki who is highlighted at the bottom of this article. Having experienced her expertise and support first hand I can honestly say she is a champion for new and expectant mothers! Maternal Wellness Services is a life jacket that I used when I felt like I was drowning in my motherhood struggles! Great article! Such an important topic. I remember clearly holding my new baby as I looked out the window envious of people leaving for work. Having a newborn seemed so hard and I felt so much guilt for having those feelings. My kids are older now, but mom guilt is always hovering. It’s nice to read something like this and know I’m not alone. This is so true and hits home. Being a full time working mother I deal with mommy guilt everyday. The struggle to be #1 at work and then to be #1 at home takes a toll. Thank you for writing this to remind us working moms that we are in this together and we don’t have to be perfect all the time. Great article that will hit home for so many women. Thank you so much for shedding light on such a dark and isolating part of motherhood. We need these reminders so that we can be joyful Moms. What an insightful article for new mothers…and not-so-new moms out there, like me! Mom Guilt is a very powerful force whether you choose to stay at home or go back to work. Reading about self-care and what a crucial role that plays in motherhood really resonated with me. We deserve the mental, emotional, and physical time and space to feel like ourselves…why do you think they say [when flying] put on your own oxygen mask first, right?! As moms, we are so hard on ourselves and struggle to achieve perfection in everything we do (thanks, Pinterest). I still struggle with #momguilt after 10 years of being a Mom. Nicole Grocki has made me feel safe in acknowledging and expressing all of those feelings that arose when I added ‘Mom’ to my resume. Thank you so much, Nicole!